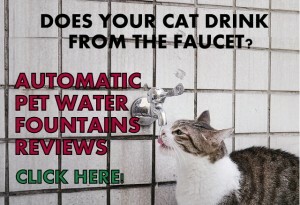 Do you have a feral cat nearby your house and you feel sorry for it during winter? Feral cats need a place to stay warm during extreme weather conditions that could frostbite their ears, nose and paws. 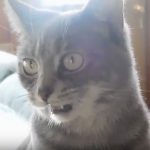 When a feral cat suffers frostbite there is not much you can do and dead tissue will occur in the affected areas. That’s why it’s so important to provide a good shelter for the feral cat. Stay warm is the first survival action feral cats seek, even more important than food. 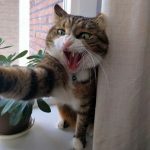 Cats get a thicker coat during cold weather but this is not enough because cat fur is not waterproof like other mammals such as the Beaver or the Muskrat. Unlike these species, cats are subject to hypothermia if their fur get wet or if exposed to cold temperatures for too long. 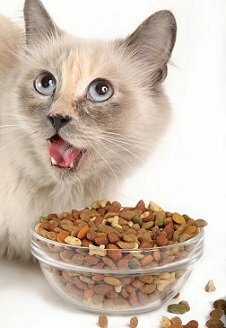 What feral cats need from a shelter? Shelters provide the feral cat a place to keep its body temperature without losing heat. This is extremely important when surviving cold weather. The younger or smaller the cat, the more heat needs to be retained. 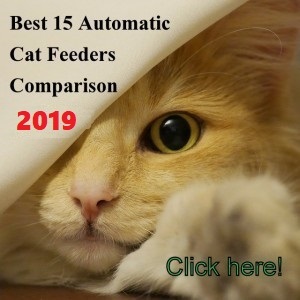 Keeping the ideal temperature for the cat in a shelter is the main goal and the key is creating a nice insulated bedding that will accomplish this. The shelter needs to be sealed in the seams with no wind or cold leaks if possible. The construction of the shelter is crucial to accomplish this. An insulated bedding will do little if the shelter leaks cold winds or water that will create humidity inside. Keeping the cat dry is the main goal for a shelter. Wild animals are in constant search of natural shelters to stay warm during extreme cold weather. If you provide a shelter to a feral cat other animals may try to steal this shelter for themselves. For this reason the shelter needs to keep larger predators out. This can be accomplished with a narrow entryway that will deter larger animals from trying to access the shelter. Also, a narrow entry will stop predators from trying to get the cat. The dimension needs to be large enough that the cat will fit inside in a comfortable position but not so large that the heat will dissipate. A good dimension for a shelter suitable for one cat is about 16” x 24” x 16”. This size may fit two cats if they can accommodate together, keeping each other’s temperature this way. The shelter needs to be waterproof, windproof and snow-proof. Ideally, with excellent sealing in the corners and seams. If the material is wood, the bedding needs to be elevated. You can use a small pallet to accomplish this. The location where the shelter will be placed needs to be protected from humidity as well, especially if the material is wood. If the shelter will be put on the ground or grass you need to elevate it with a pallet or similar if the construction doesn’t have feet. Shelters need to have basically two layers of insulation: the outside and the inside. The bedding needs to be insulated inside to keep the feral cat dry and warm. If the shelter is made of wood you can put inside a plastic tray with tall walls making an opening that will align with the entry. Inside this tray you place the special materials for the bedding. You need to use the right materials to create an effective bedding that will allow the cat’s body to retain heat. You can use straw or shredded newspaper or shredded cardboard paper. Make sure the material is loose so the cat can burrow into it and underneath it. You can opt for a heated pillow too. Whatever you use you must make sure the material is dry. This is key. Also, make sure to replace new straw or shredded paper as humidity reaches the bedding. Never use towels or blankets or anything like that. The entryway for the shelter needs to be small that won’t let heat escape. Also, it needs to be small that won’t let too much wind and/or water to get inside, but large enough for the cat’s body to pass through. Additionally, a narrow entryway will deter larger animals from entering the shelter. Making the entryway around 6” wide will stop most larger animals or predators from entering the cat’s shelter. Locate the shelter in a way that rain or wind doesn’t directly reach the opening. Ideally, the opening should have a flap that protects the inside from the elements. If placing the door away from direct wind or water is not possible, pick a shelter with the entryway located on one side of the shelter and not in the middle. This way the cat can stay in the corner away from the entryway. In some cases you may need to create a second door if the cat doesn’t want to get inside the shelter. This is a survival behavior because cats need to have an “escape” door in case of attacks from other animals or cats. However, most cats will take to the shelter due to the urge of keeping themselves warm. The shelter shouldn’t look to awkward or odd in the area where it will be placed. Ideally, the shelter should look nice, with a color that blends with the environment and doesn’t interfere with human traffic either. Try to conceal the shelter, keeping it away from neighbors or human traffic. 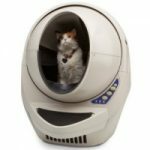 The Kitty Tube is a fully insulated outdoor cat house, with insulation on the bottom, sides and top. The unit measures 24” diameter x 23” high. 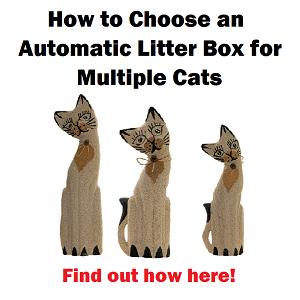 The Feral option comes with double insulated liner and straw to provide the feral cat a loose bedding to burrow and stay warm and cozy. The bulk of straw is enough for 2 layers of bedding so you can replace the straw once it gets humid. The unit comes with an awning with gasket for the entry and a clear removable flap door. 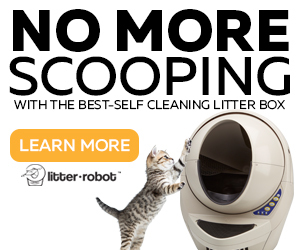 The cat shelter is made of recycled plastic that is bacteria and mold resistant. The cat shelter features a slightly elevated bottom with a drainage system. The Kitty Tube has a seamless construction, ideal to protect from the elements. The opening measures 5 1/8 wide x 6″ high. This opening size keeps the heat inside and deters larger animals such as coyotes or dogs from getting inside. Any cat under 20 lbs can squeeze its body inside the shelter. 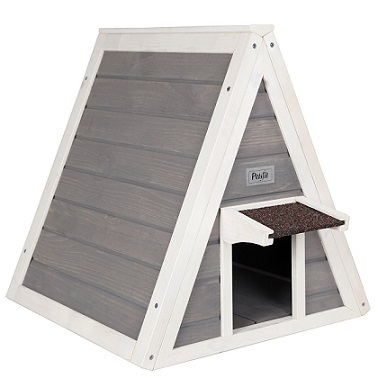 This feral cat shelter can accommodate up to three smaller cats and two medium size cats fit comfortably. Check more details of the Kitty Tube here. 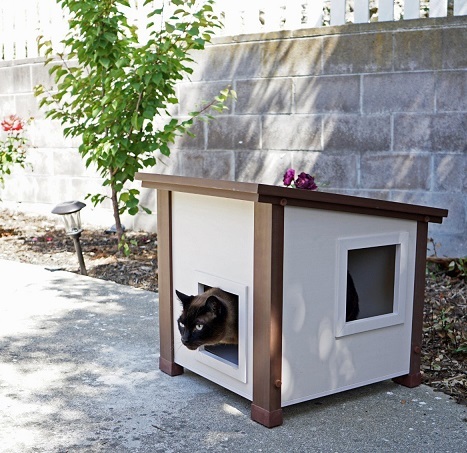 This cat house and shelter features double wall panels that provide effective protection and insulation from the elements. The inside of the ecoFlex Albany cat house measures 17” x 17” and the opening door 6.5”x 6.5”. The doors can be protected with flaps that go attached to them. The Albany cat shelter is made of Eco Flex material that doesn’t warp, rot or splinter during extreme weather conditions. The Eco Flex material is water-proof, insects-proof and rot-proof. The unit has two doors (entry and exit) that won’t make cats feel trapped inside. The assembly doesn’t require tools. Check a video how to assemble the unit and more here. This cat house and shelter is easy to assemble. The inside dimension is 18” x 17” and the door measures 5.5″ x 7.8″. 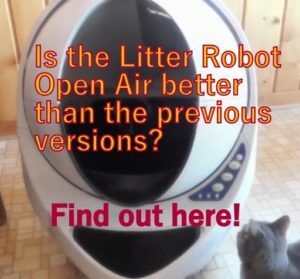 The Petsfit is large enough to accommodate a medium sized cat. This cat shelter features a back escape door so the feral cat won’t feel trapped by bully cats or predators. This unit is made of Cedar and its lifespan outdoor has been tested to last 3 years. The house does not come painted so you can seal it with the paint of your choice. You need to secure the floor with an elevation since this unit doesn’t feature feet. The slats of this cat house are not butted up against each other. This allows ventilation for hot days. 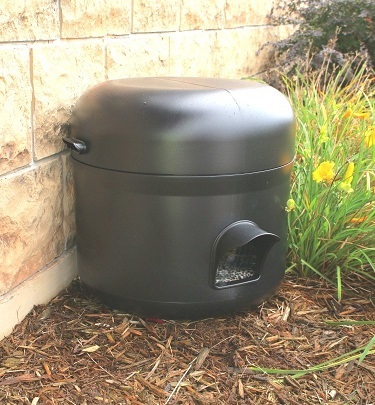 This cat house is suitable to provide the feral cat shelter for hot and cold days, but is not ideal for extreme cold weather. 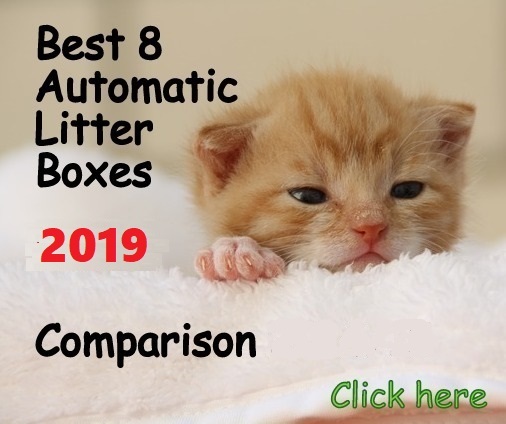 Visit here for more details of this cat shelter. Cut a 6”diameter circular opening in the tote as the entry door. The distance between the floor and the lowest part of the opening should be around 1-1/2 to 2 inches. Insert the foam cooler and cut a 6” opening that matches the one of the tote. 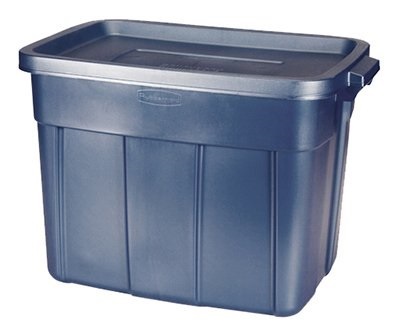 Fill up the tote around with straw and inside the Styrofoam cooler. Put as much straw as possible for maximum insulation. Put the tote lid on top and secure it with duct tape for best protection. 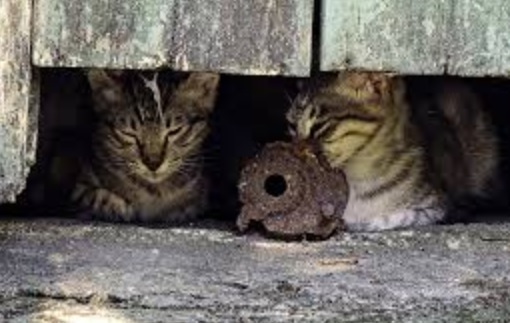 Whatever the option of shelter you choose for the feral cat make sure to do a proper maintenance in order for the shelter to stay dry. 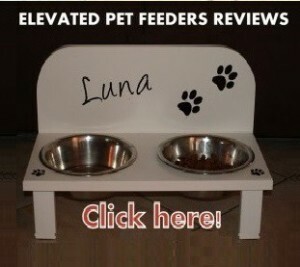 This is the most important aspect when providing a shelter for a feral cat.